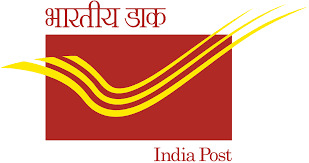 India Post Office Recruitment 2018 | 16 Vacancy | Staff Car Driver Posts: India Post Office has published recruitment notifications for below mentioned various post. Desirous & eligible candidates apply in prescribed format on or before 22/01/2018. More information please read below mention officially notifications carefully. Educational Qualification:Pass in 10th Standard from a recognized Board or lnstitute. Possession of a valid driving licence for light & heavy motor vehicles. Knowledge of Motor Mechanism (The candidate should be able to remove minor defects in vehicle). Experience of driving light & heavy motor vehicle for at least three years. How to Apply : send their application in prescribed format along with all essential documents by Speed Post/Register Post to below mentioned address. The senior Manager, Mail Motor services, 134-A, S. K. AHIRE MARG, WORLI, MUMBAI-400018 on or before 22/01/2018.